The heart of the city, its life and its masterpieces. 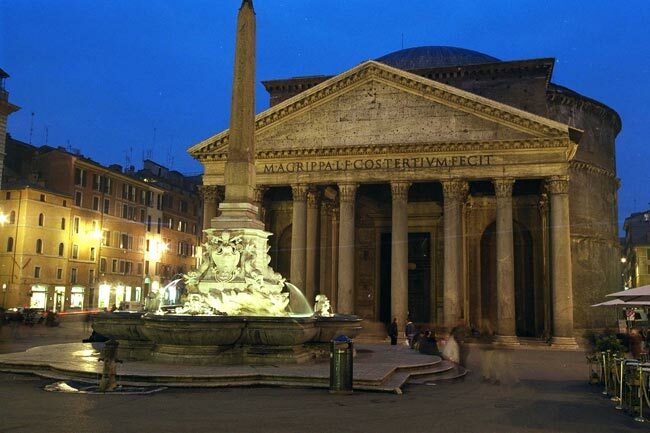 This walking tour is a captivating journey through Rome’s most precious urban area where some of its greatest architectural features are to be found. 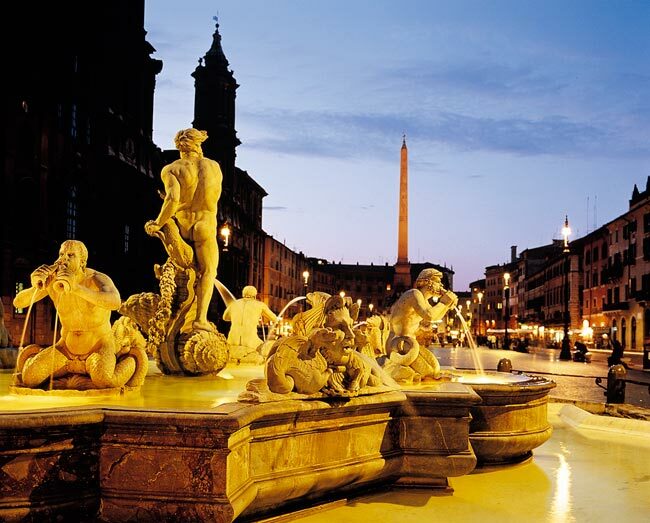 Visit Quirinale square, Trevi fountain, Spanish steps, Piazza Colonna, Pantheon and Piazza Navona. Our starting point is piazza Venezia, the true navel of Rome and stage for the imposing white marble monument to Victor Emmanuel, first king of the united Italy. 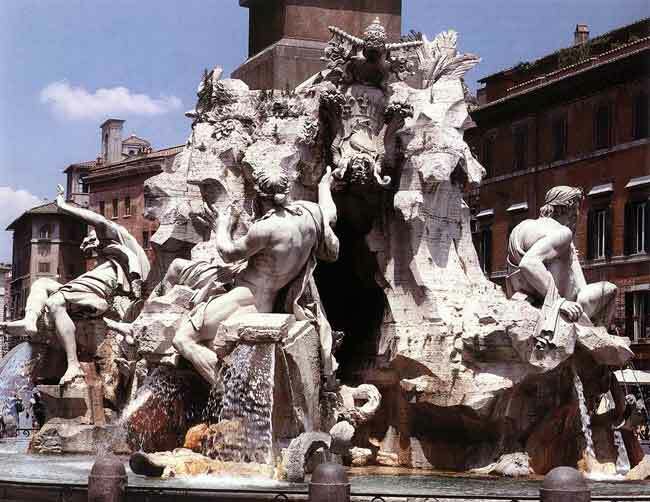 We then drive up the Quirinale hill, where the Presidential palace stands guarded by the huge ancient roman statues of gods Castor and Pollux, before reaching piazza Barberini, a small but beautiful hub featuring one of Bernini’s works, the Triton fountain. 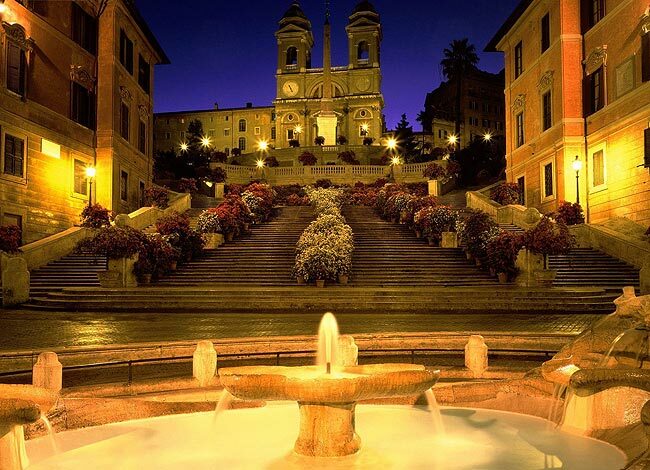 From here we enter via Veneto, the stage for Fellini’s movie ‘La Dolce Vita’ and still an elegant street with grand looking hotels and cafes to the Villa Borghese parc and then on to the top of the Spanish Steps. Our next stop is the terrace of the Pincian hill offering one of the most breathtaking vistas of Rome. And now let’s cross the Tiber river on our way to Saint Peter Square, a huge space encompassed by the double colonnades of Bernini with Rome’s largest Egyptian obelisk at the center facing Saint Peter’s Basilica, the true center of all Roman Catholics. We continue along the river before crossing again besides the Tiber Island, passing by the ancient Theater of Marcello and the Capitoline Hill. At this point we enter the true heart of ancient Rome: we will drive along the Imperial Forum, admiring on both sides the celebrated remains of the past before passing by the most famous of them all, the Colosseum. Further on we'll see the imposing ruins of the Terme di Caracalla. We'll stop to have a good view on the huge elongated open space where chariot races took place, Circus Maximus dominated by the imposing ruins of the Cesars’ palace on the Palatine hill. Aventine hill is next, another high point of Rome where an unexpected view of Saint Peter’s dome awaits us. And we finish today’s drive on top of another hill, the Janiculum, with Garibaldi’s statue and also offering another beautiful view of Rome, truly enchanting if enjoyed at sunset! Unqualified guiding is not permitted by the Italian Law. Therefore, when booking a local guide in any Italian city, it is your right to ask for proof that he or she holds a license before closing any deal. Under present regulations in Italy, as in most European countries, there is no such thing as a "docent", lecturer", "art historian" or "cultural association" to deal with when hiring the services of a local guide, either directly or through travel agents. Before showing any personal title or degree, guides must show that they are Licensed Tourist Guides first. Licensed Tourist Guides are the only professionals permitted to conduct tours in all sites and museums within a city. 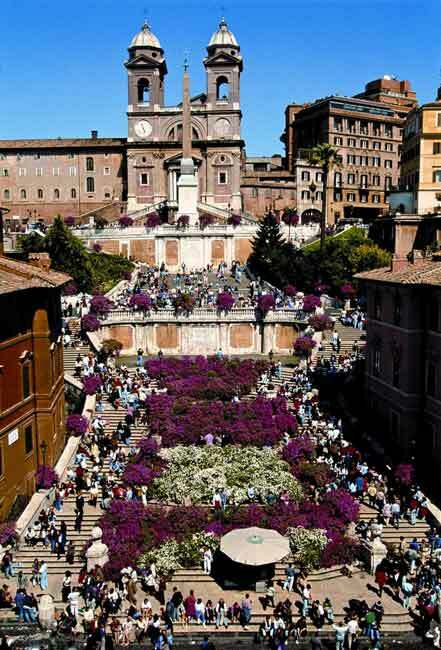 To become a Licensed Tourist Guide in Italy - like in most EU countries - candidates must pass an examination given by the local public tourist authorities to assess and test their knowledge of the city in terms of its history and geography, its art and architecture, its museums and art galleries, churches, its environs and cultural features. As part of the requirements, candidates must also prove their knowledge of each of the foreign languages they applied for with oral and written tests. Licensed Tourist Guides provide a professional service to visitors: they act fairly in all dealings with all those who engage their services together with their colleagues, tourist services purveyors, local tourist boards and cultural insitutions. They protect the reputation of tourism in their own area of operation by taking all steps to ensure that their clients treat the environment, wildlife, sites and monuments and the local customs with respect. Local Tourist Guides are ready to share with visitors reliable up-to-date information on all aspects of the local life that may be of any importance to them such us temporary exhibits, food drink tips, markets, public transport, major events, and local venues.